The best way to prevent Chagas disease is to eliminate kissing bugs. 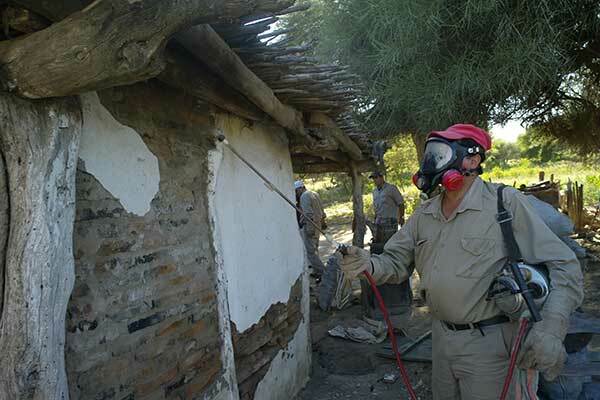 In Latin America, widespread pesticide spraying has halted transmission of Chagas disease in Uruguay, Chile, Brazil, Paraguay, and elsewhere. However, some insects have developed resistance to the insecticides. Also, because many triatomines live in the wild, household spraying will never truly eliminate them. A more sustainable solution to prevent Chagas disease is to provide adequate housing conditions for affected populations. Kissing bugs prefer homes made of adobe, palm leaves and other natural materials, which are used by many of Latin America’s poor. These homes provide plenty of hiding places for kissing bugs, and insecticides will only keep the bugs out of these homes temporarily. On the other hand, kissing bugs are not often found in homes with plastered or otherwise smooth walls and modern roofs. Studies demonstrate that programs which combine housing improvements with pesticide spraying are the most effective at preventing transmission of Chagas disease.